Welcome to the DoggieDashboard 5-part series on starting a doggie daycare a business. With over 3,500 dog daycares using DoggieDashboard to manage their business, we've seen a lot of businesses start and we've, unfortunately, seen a lot of businesses fail. 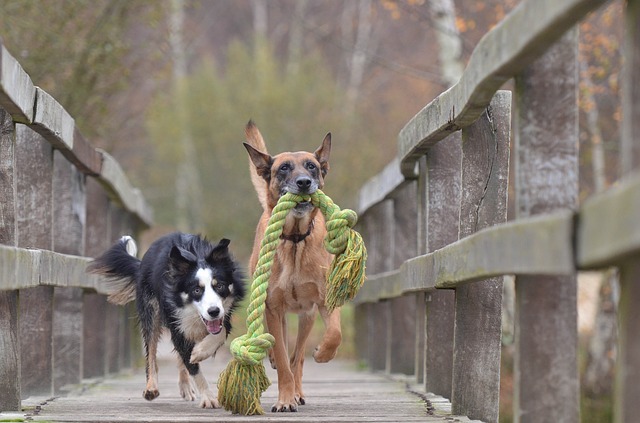 Over the course of this blog post series, we're going to touch on a lot of the important steps towards starting your doggie daycare. This is not a step-by-step plan, since each state and country has different regulations when it comes to starting a pet boarding business (like vaccine requirements), but more of an overview of all the necessary steps that you need to take in order to get your pet boarding business off the ground. In this first post, we're going to explore five questions you should ask regarding the mental side of opening a pet boarding business. 1. Ask yourself if you're ready to dedicate the amount of work necessary to be successful. Starting a business, any business, is a lot of work. You're going to shed plenty of blood, sweat and tears. Small business owners work, on average, 63% more than regular employees. Starting your dog daycare isn't just going to be about playing with pets all day and then getting paid for it. Starting a business is about filling out business forms, insurance forms, meeting with lawyers and city business directors, etc. Yes, of course, there is a lot of fun as well when you're RUNNING your business, but we're talking about the grueling work that goes into starting the business. Make sure you're ready for it. 2. Ask your family if they're prepared for the stress that accompanies opening a new business. We'll get right to the point, running a small business is going to put more stress on your family than if you were working as an employee for another business. Why is this? Well, one reason could be because the business tends to be the sole source of income for the family, the success of the family unit depends on the success of the business. That puts a lot of stress on the business owner to make sure it's successful. Talk with your family and make sure that they're prepared for the process of starting the dog daycare. They need to be aware that you're going to be working a lot more hours than usual, and that you might be a bit more on edge during the time up to business launch. You want to make sure they're fully supportive of your business endeavor, because if they aren't, they're going to release negativity at the first obstacle that you run into, and trust us, you'll hit quite a few. 3. Ask your bank if you're financially able to lose your entire investment. It's a sad fact of starting a small business that many of them fail and even more lose money for a long time before they start turning a profit. That said, you're going to need to talk with your banker to make sure that the failure of your business isn't going to be devastating to your financial security. Starting a business always comes with some risk, but you can mitigate these risk by making sure that if the business fails, you're not going to be go into financial ruin. Talk with your banker about the amount of money you can potentially lose before you'll have to call it quits and get a job working for someone else. As a little tip, don't quit your day job while you're planning your new business. It's going to take you more time than you expect to get your business off the ground, and having that income from your current job is going to provide you with a nice safety net while you're getting started. 4. Ask your community if there's really a need for your business in town. So you want to start your doggie daycare, but does your community have a need for this business? That's a question you're going to have to ask yourself before you start your business. If your city is small and there are already a large amount of dog daycares serving the locals, is there going to be enough business to keep you afloat? That's the biggest question you're going to need to figure out. Do some community research and see if there's a need in your community. Maybe spend some time at the local dog park and talk with pet owners to see where they're currently taking their pets when the owners go on vacation. If they highlight a need in the area, that's great! If they don't, maybe you'll have to rethink your idea of starting the business. That last thing you want to do is invest $20,000 in starting your dog boarding kennel and then have no one show up because they already have business relationships built with other boarding kennels. 5. Ask your team if they're ready for fights, arguments, happiness and joy. Last but not least, have a sit down with your business team and make sure everyone is all-in. The lifecycle of a small business includes some very high highs, like when you hit your breakeven point, and some very low lows, like when you need to do some lay-offs because sales have been low for a couple months in a row. Building your team is going to take awhile, but you'll want to make sure everyone is ready to hit the ground running when it comes time to get down to business.